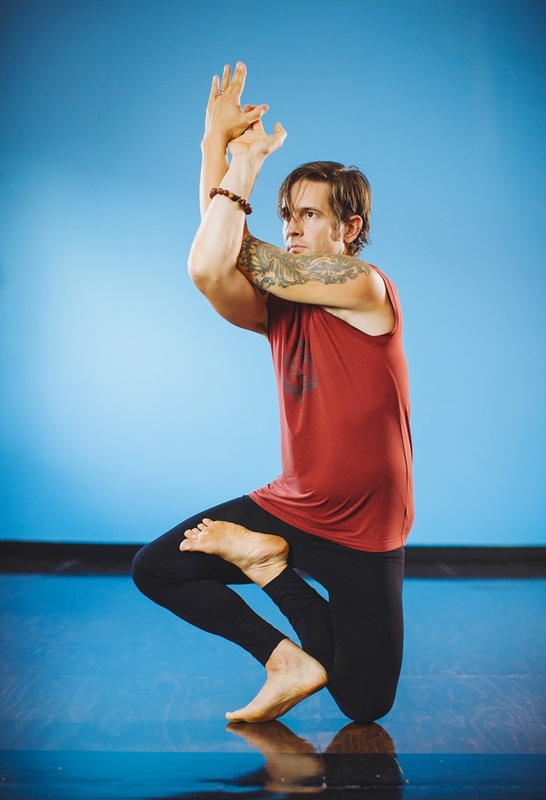 Established in 2002, Near East Yoga serves a variety of dedicated dharma practitioners via a comprehensive curriculum of traditional Ashtanga Yoga, philosophy study, meditation and chanting. Off the beaten path but nearby to most of town by freeway, bike and rail, it offers a respite from the in-and-out mega studios offering room for inquiry within a community of ardent practitioners of the art. As a “one room school house” Near East Yoga seeks to accommodate the needs of the community in a vertical integrated fashion by hosting daily, evening and weekend Mysore classes, weekly Sutra Chanting and Dharma discussions, Bhajan and Kirtan sessions and supporting methods of practice geared toward the contemplative. All levels of experience are warmly welcomed. Self practice of all kinds is honored and supported. Periodically Near East Yoga hosts teachers and scholars most of whom have a long-standing relationship with our sangha. Near East Yoga is open to all and warmly invite you to join us. The culmination of 80 years of research by Sri K Pattabhi Jois of Mysore South India, Ashtanga Yoga the method is a “heritage” teaching available to the ardent seeker. Due to it’s longevity in common time it is considered “old-school” by many, but was once thought to be “modern yoga” by more conservative traditions. For the modern yogi to thrive in the whirl of modern life, a suitable method must be found. Yoga teachings that work match the attitudes and interests of the people of the times. Ashtanga Yoga is unique in that it can be tooled and fashioned to meet the needs of the individual yogi irrespective of time, place or form. “Ashtanga Yoga” the concept has been around for ages. Yogis and Gurus of various types have applied its principles within the actions they take be it posture, speech or reasoning and encountered profound results. It endures because it works. The Mysore Method of practice is the defining quality and expression of Ashtanga Yoga. Under the watch and support of a seasoned teacher, yogins execute a set of postures that serve to develop a personal approach to the process of life itself. The quality of personal responsibility over-arches the work and can reveal aspects of understanding only known to the individual. By including even a rudimentary understanding of yoga theory, clarity can be further established and the sense of liberation is akin to once riding a carrousel and now riding a real horse. Exhilarating, but also a place to approach with respect, the yogis options for change open up to the bounty of a lineage “heritage” system. The Near East Yoga community gathers to sing multiple times a week in multiple formats. 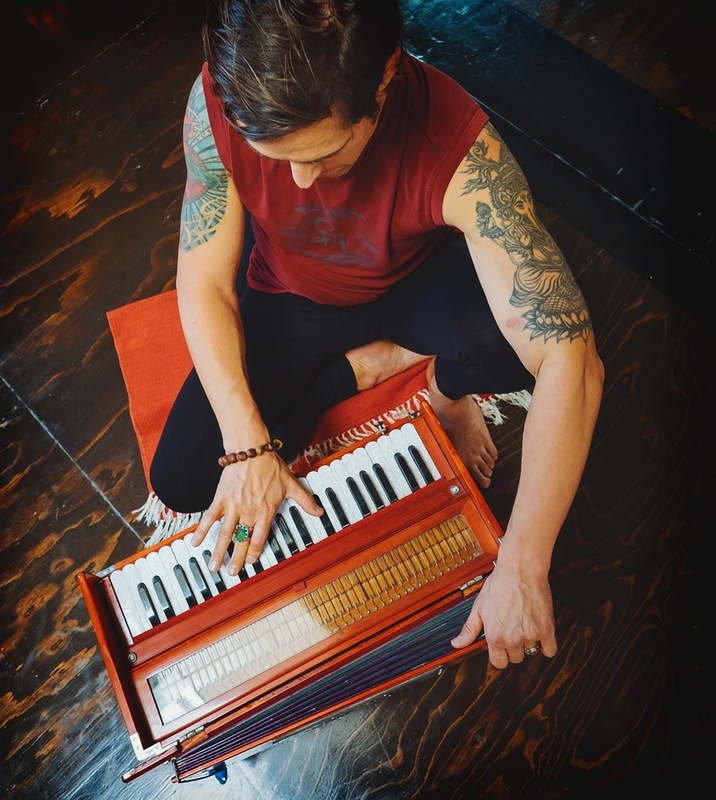 Weekly practice sessions range from scholarly investigation of classic yoga texts to the joyful harmonies of a jamming kirtan. Open to everyone, these sessions cultivate familiarity with the context of the classical philosophy and provide an opportunity to explore them in community. Our current practice works include, (parentheses = italics (Bhagavad Gita, Yoga Sutra of Patanjali, Hanuman Chalisa, and Devi Puja) to list a few. Learn The Chant with this video. Recitation of the Patanjali Invocation. Come chant along on Sunday the 12th from 2:30-4pm.